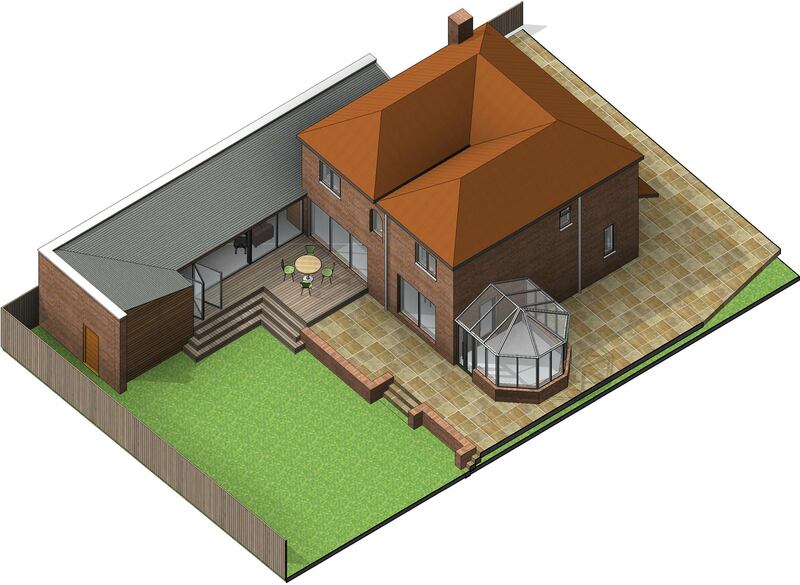 Located in South Warrington, the client for this project was keen to create a single storey extension to the rear of the existing house to replace an old detached garage. The intention was to provide a music room for the children as well as a remodelled kitchen, utility room, WC, and garden store. 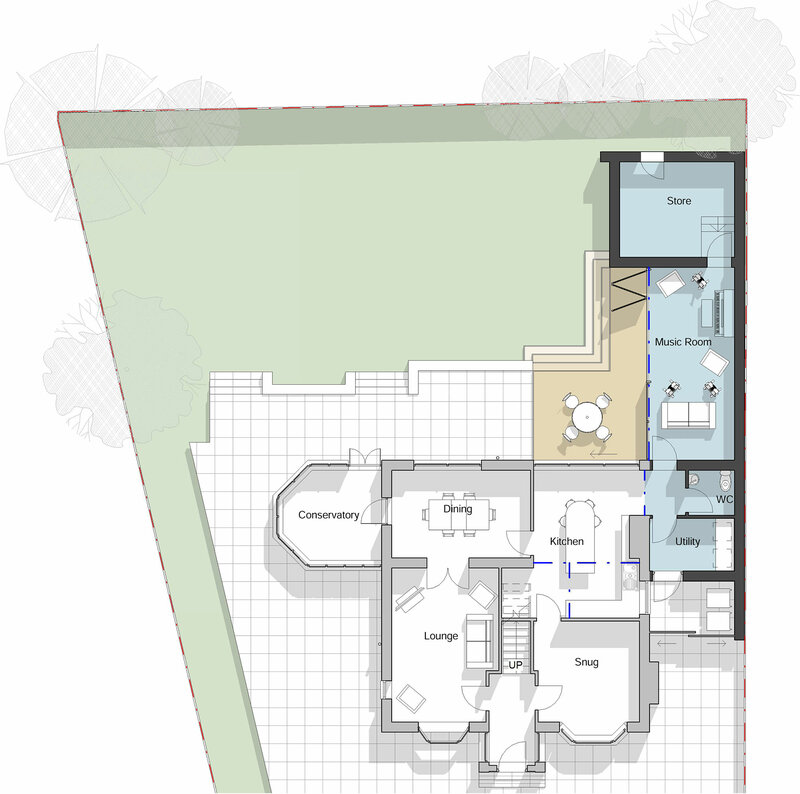 Artform Architects’ design creates a new L-shaped wing to the house which faces the garden and allows the music room to benefit from views out and high levels of natural light. A combination of timber cladding and brickwork creates a contemporary extension which seamlessley links back to the original house. 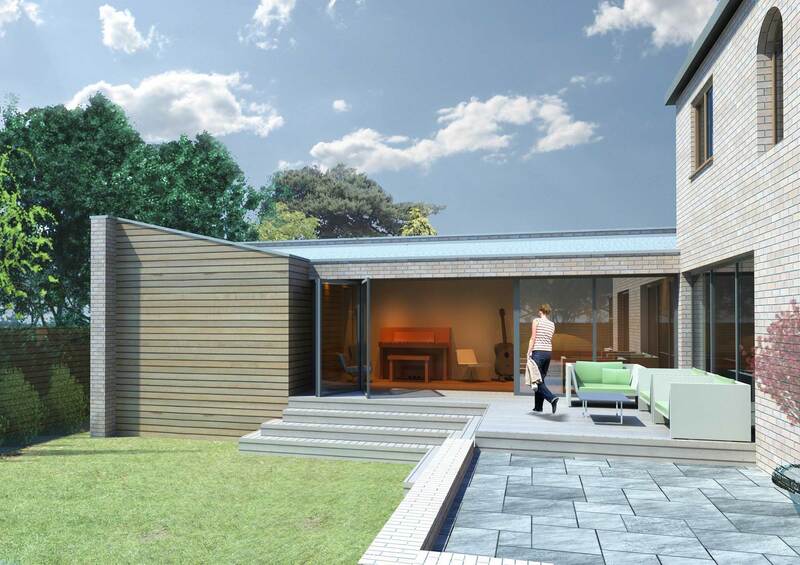 Artform Architects achieved planning consent and Building Regs. approval for the scheme. The house extension was completed on time and on budget.